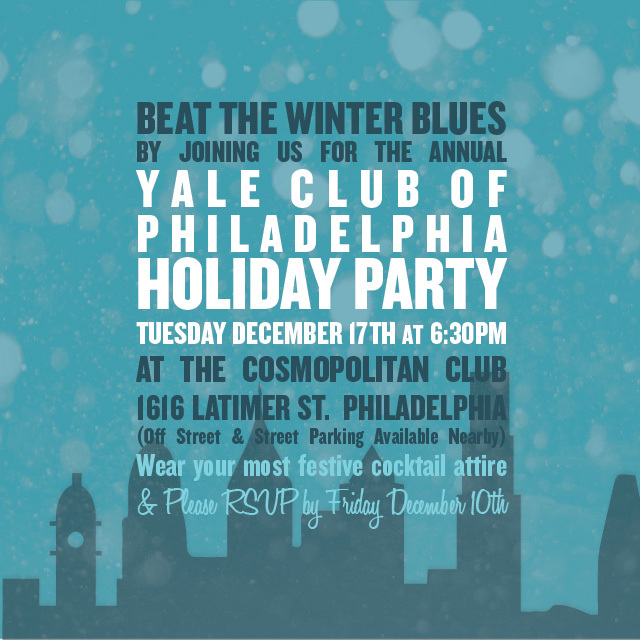 Join alumni and friends for our sparkling annual holiday event at the Cosmopolitan Club, occupying an historic art deco house on a charming Center City street. This not-to-be-missed festive evening will include a cocktail reception and a cash bar. Proceeds from this party and club membership fees support the Yale Club’s Community Service Programs. Where: The Cosmopolitan Club, 1616 Latimer Street, Philadelphia PA 19103.